How we grew our instagram from 0-60k and how you can too! So you want to get on instagram. You want to grow your followers, get engagement and start to put them into your sales funnel. We have been able to grow our account from 0 -60k in a short time line and have learned from some amazing accounts. This goes to the core of all marketing but I find it really relevant on Instagram. The content you are pushing will have a short life and an even shorter time to make an impact on the viewer and because of that you need to distill what you are doing down to it’s essence. You want to know your basic messages and to know your audience and why they are following you. Once you know who your audience is and what you stand for as a brand then you can start to create amazing visuals. You need to balance your message, your brand image, and all while crating a compelling image. Look at brands like Foundr, Rich20Something, or TacoBell, these are brands that manage to make interesting visuals, stay on message and have grown solid followings in their respective areas. There are a few ways you can craft images, if you are not a Photoshop person you can either go the high end route by getting a designer or joining 99designs, or you can make some fairly simple but effective images with something like WordSwag or Pablo. Just like in the real world where you network with others so that you can grow as a person you will need to network on Instagram to grow effectively. You will want to reach out to accounts that are in a similar demographic to you and start doing cross promotions. This could be based on the users you have, the product niche you are in, or the local market you work in depending on your branding and company. If you are a local shop, look to work with other local brands, if you are a motivational brand, work with other motivational brands, etc. Once you have found brands that you want to work with you can reach out to them either via a direct message or via an email asking to test cross promotion via S4S or shout out for shout out. As you can see below our friends over at Foundr are fantastic at shout outs! The idea is that you simply cross promote via mentioning the other account and they do it for you allow both accounts to cross pollinate. Instagram is a very fast social network, by that I mean that the content that you push does not have a lot of time to make an impact. 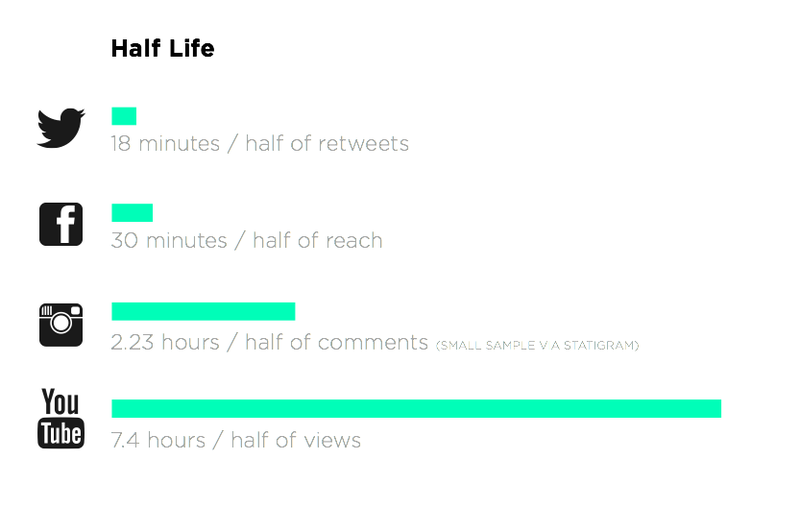 The half life of an image is 2.23 hours according to research conducted by Zachary Mccune over at Thames 2 Thayer. This 2.23 hours is a tough timeline as you are also competing with thousands or hundreds of thousands of content creators depending on your market niche and the hashtags that you are using to promote your content. Knowing that your content is good for 2 hours gives you a solid idea for post rate to stay in peoples line of sight. You want to be posting every 2 ish hours during the times your users are awake. So for HG we would ideally post every 2 hours between 8am and 10pm central time to have overlap with other time zones and attain proper saturation. Now that being said we only ever do that when we are running a campaign or pushing a goal. These are the basics that we have used to build our brand’s instagram following and that you can use to start to grow yours. You need to have a solid understanding of your brand, your customers and what they will connect with. The next steps are yours to take! Go create visuals that will motivate or inspire your potential customers. No Replies to "How we grew our instagram from 0-60k and how you can too!"